DALLAS — Dwyane Wade scored 22 points in what figures to be his final game on the court where he won his first championship, helping the Miami Heat beat the Dallas Mavericks, 112-101, on Wednesday night (Thursday, Manila time). 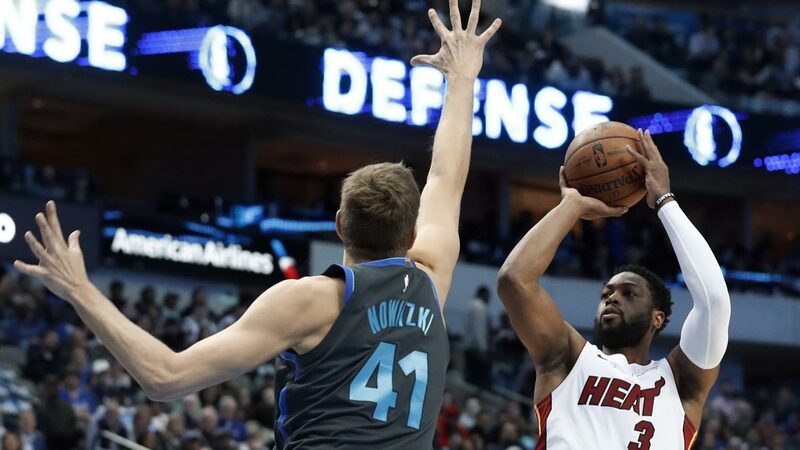 The 40-year-old German finished two points shy of his season high with 12, although most of the highlights in their first meeting of the season came in the first half before the Heat outscored the Mavericks, 32-16, in the third quarter and led by as many as 21 points in the fourth. There were some boos as they took the court, but those were quickly drowned out when many in the crowd stood and cheered. That's been the consistent reaction from fans whenever Nowitzki enters games — home and road. The true reaction of Dallas fans to Wade came later when they booed the 37-year-old whenever he touched the ball. The Mavericks have always thought Wade was the beneficiary of questionable calls in the 2006 NBA Finals, which the Heat clinched with a Game Six win in Dallas. Fans probably still remember the video of Wade and LeBron James faking coughs while leaving the Mavericks' arena after losing Game Five of the 2011 Finals when Nowitzki, who was sick before the game, hit the winning shot. Dallas took Game Six in Miami to win the series.